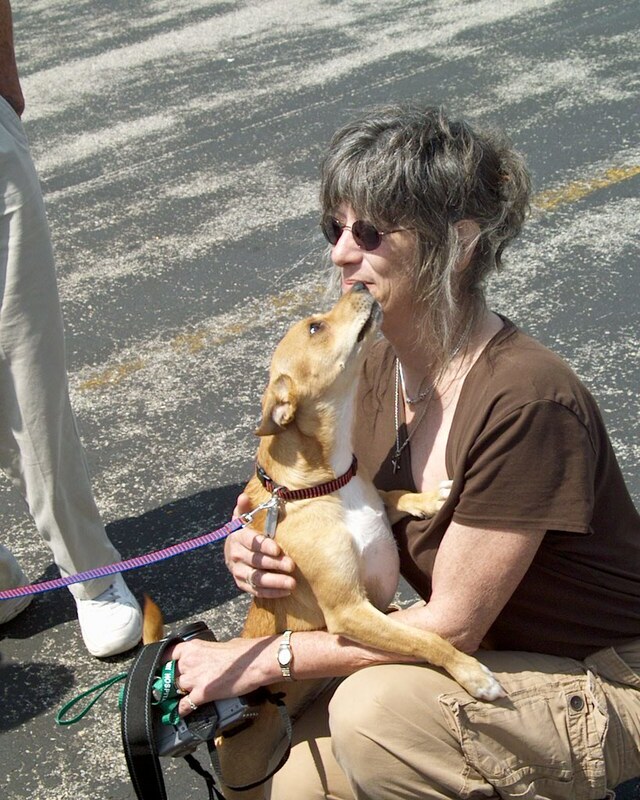 Seven great dogs have Rhonda from Chances Angel Rescue to thank for saving their lives. 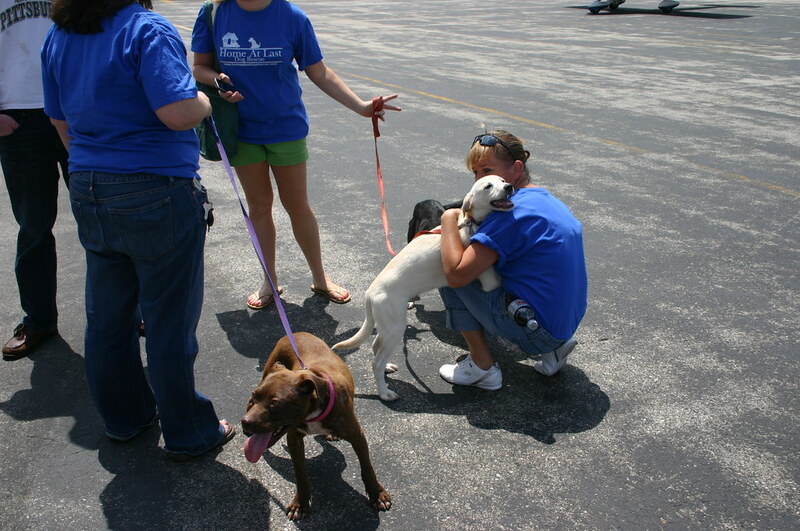 Each one has their own hard-luck story as to how they ended up at the shelter, but that's in the past now. They all have bright futures with families of their own in Philadelphia. 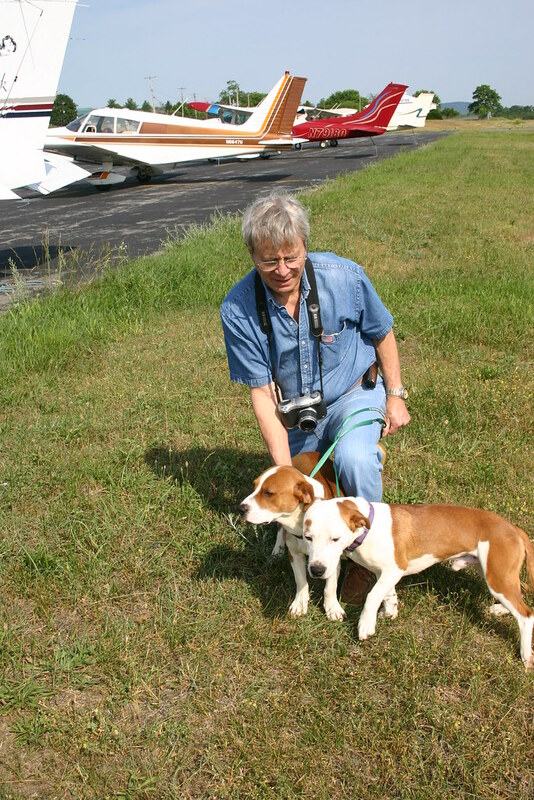 John and Team Mutt Muffs and all the dogs rendez-vous at Winchester, VA. Team Mutt Muffs John meets Danny and Eddie. This little guy was aptly named Romeo. What a loveable little guy. 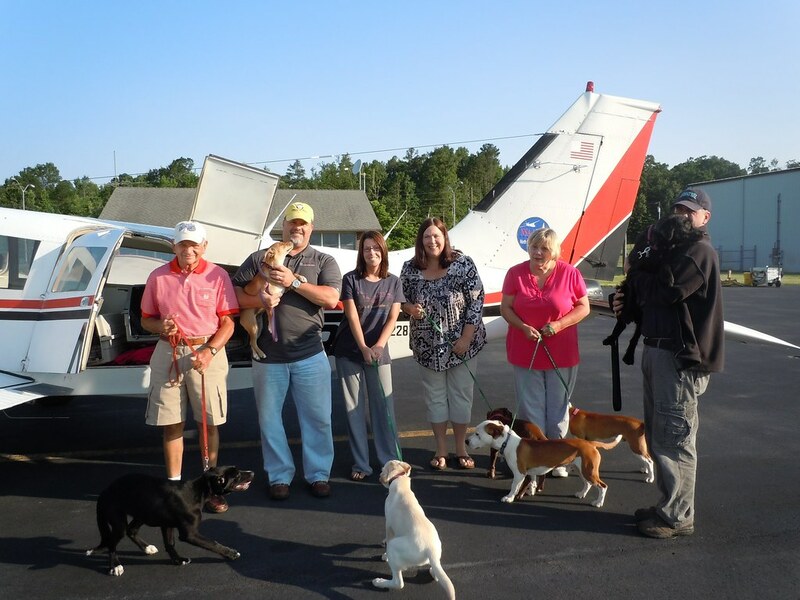 Not only did he pay for his flight with some puppy kisses, he paid for the rest of the gang several times over. 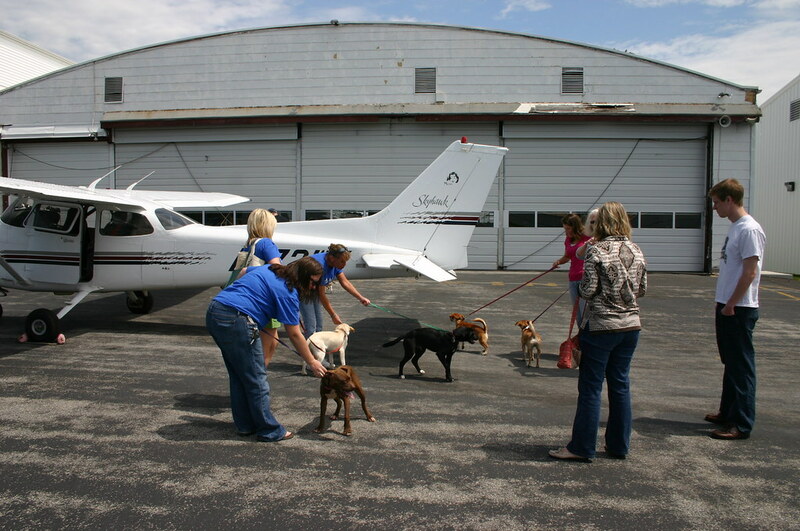 The dogs had to split up into two private planes for the next leg to Philadelphia. 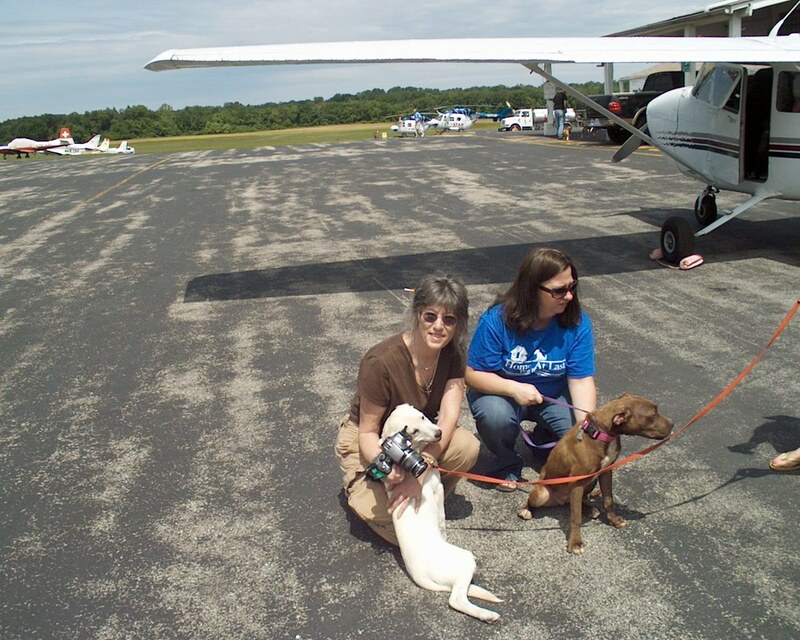 Team Mutt Muffs flew Danny, Eddie, Romeo and Lucy. 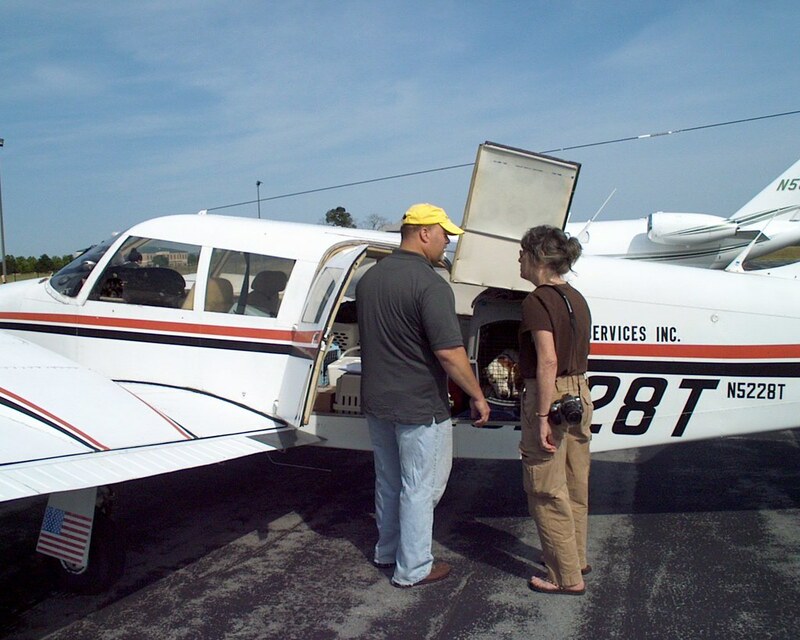 Sadie, Logan and Nathan jumped aboard Elliott's plane for the final leg. Almost Home took Danny & Eddie. Logan says goodbye and thanks for the lift. All of these beauties are so loveable. They've come from a very scary time in their lives, and they just want to be loved. Everyone is now in the good hands of their temporary rescue people until they find their own families. 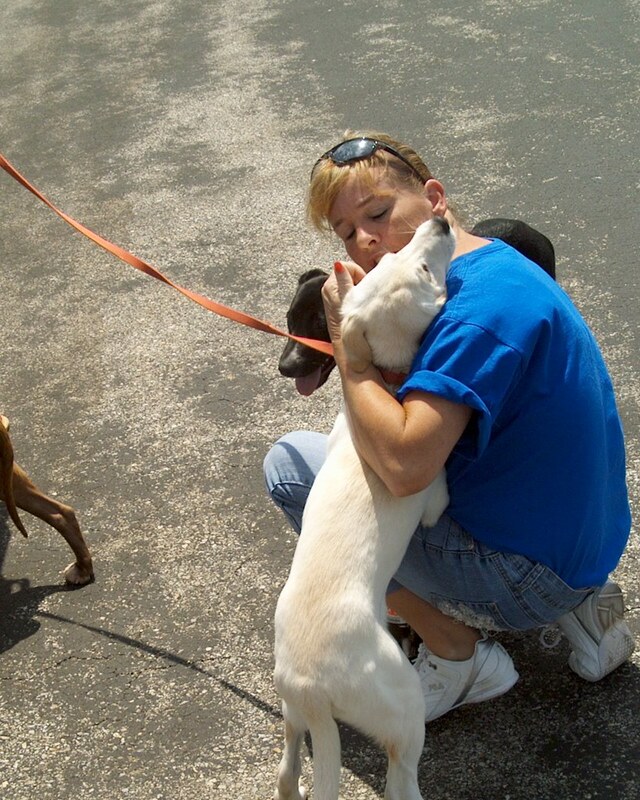 God bless all the rescue volunteers who open their homes to so many deserving creatures.